Davidson Housing Coalition built The Bungalows on Davidson's West Side to provide affordable housing. Officials and residents in the Smithville neighborhood of Cornelius are trying to develop strategies to keep the neighborhood affordable. As north Mecklenburg County and the Lake Norman area have grown over the past few decades, newcomers have brought higher incomes — and skyrocketing housing prices. That's a challenge for those who don't fit the area's new demographics — especially longtime residents in older African-American neighborhoods in Huntersville, Cornelius and Davidson. A new study has some leaders acknowledging they need to do more to create housing for lower-income residents. On Holbrooks Road in east Huntersville, workers are setting up scaffolding on a large house under construction. New houses here are selling for more than $400,000. But just a half-mile away are dozens of older, smaller houses in Pottstown, some valued at $50,000. The neighborhood is near the old Torrence-Lytle High School, which opened in 1937 to serve African-American students. Many of the homes are old and run down. Gentrification hasn't hit here full force yet, but some fear it's just a matter of time. 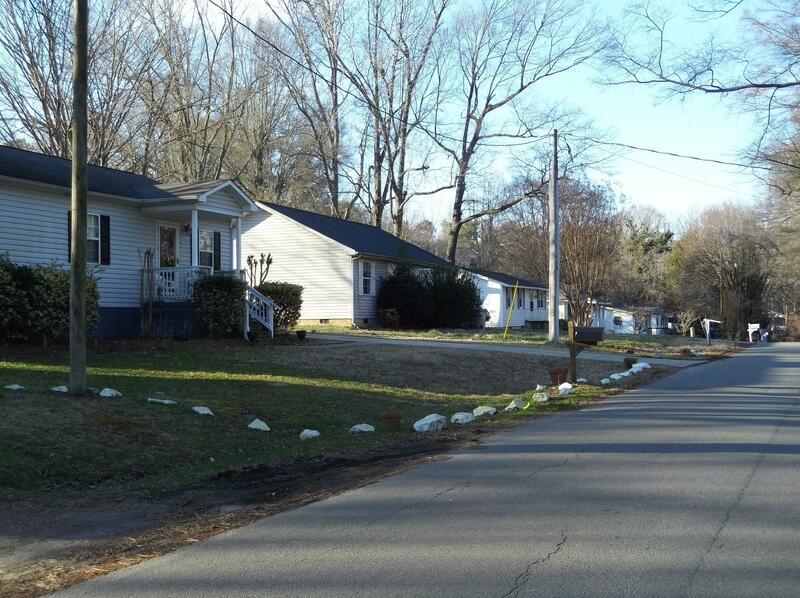 Small houses on relatively large lots in Pottstown, Smithville in Cornelius, and the West Side of Davidson are a target for demolition and redevelopment, said Laura Simmons of the UNC Charlotte Urban Institute. 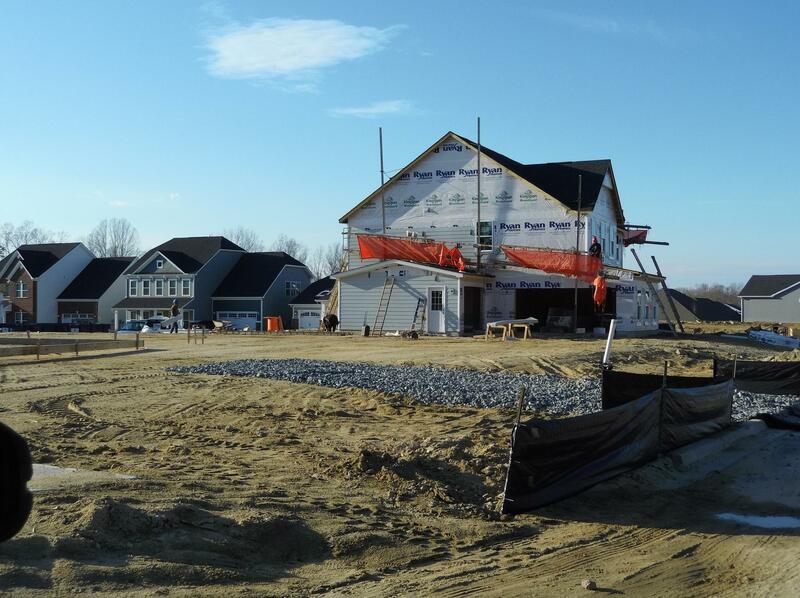 Homes costing $400,000 or more are going up on Holbrooks Road in Huntersville, nearby the old neighborhood of Pottstown. “There is a lot of pressure for them to sell their properties and have them be redeveloped in, you know, the much higher-value starting prices,” Simmons said. Simmons and colleagues at the Urban Institute completed the new study for Lake Norman Economic Development, the business recruiting arm of the three towns. The research shows that about 23 percent of households in the three towns are considered cost-burdened, meaning they spend more than 30 percent of their incomes on housing. That's lower than the county average but is still a problem, Cornelius Town Planner Wayne Herron said. The study was unveiled to leaders of the three towns at a meeting on Jan. 30 at the Cornelius Town Hall. Smithville neighborhood leader Ron Potts listened in, and said it only confirms what he already knew. “Everything that I saw today is consistent with what we've been trying to tell everyone about the Smithville community: It is aging, and people can't afford to live anywhere. That's one of the reasons that we don't have any young people. They can't afford to live in this area,” he said. Potts said most people in his neighborhood work at fast-food restaurants and other low-wage jobs, which makes paying for housing difficult. Homeowners in Huntersville's historical black Pottstown community are under pressure to sell as development approaches. There's a business recruiting angle on this, too. As companies add jobs or move to the area — and more food and service businesses open — highly-paid executives can find housing. But low- and moderate-income workers often can't afford to live near where they work, according to Marcia Webster. She's the executive director of the Davidson Housing Coalition, which develops subsidized housing in Davidson. “People who work in restaurants and in some offices as receptionists and secretaries are not able to live up here without some assistance,” she said. The study found that monthly rents average $1,250, and about 78 percent of the area's rental units cost more than $1,000 a month. Meanwhile, the average home sales price last year in north Mecklenburg was about $342,000 — compared with $289,000 in the county overall. The question for policymakers is how to address the problem. Of the three towns, only Davidson has an affordable housing policy, which requires developers of new housing to make at least 12.5 percent of units affordable, or make a payment in lieu of building units. The Urban Institute's Bill McCoy said local leaders and residents told him they'd like to see the other two towns adopt their own affordable housing policies. But they're concerned there's no political will. Cornelius had an affordable housing task force two years ago under former Mayor Chuck Travis, but it stopped meeting. After seeing the study, current mayor Woody Washam said he wants the town board to consider adopting some kind of affordable housing policy. “There's needs out there," Washam said. "There's jobs coming to our community. We want more jobs and to do that, we've got to figure out a way to allow people to live here." Huntersville mayor John Aneralla did not want to comment last week, saying he had not seen the study. WFAE is taking a year-long look at this problem through our series, Finding Home. Every Monday in 2019, we’ll have stories that examine the problem, seek solutions, and bring you stories from neighborhoods small and large, both in and outside Charlotte. Finding Home: Can The Changing Optimist Park Accommodate Old And New Residents? It’s some of the most typical signs of gentrification: Multiple breweries, a gym, a few coffee shops, doggie daycare and a fancy convenience store that sells CBD products. All of those things are on North Davidson Street, north of Interstate 277. But rewind 32 years ago to July 1987. Longtime and new residents in Cherry, a historic African-American neighborhood, search for ways to work together as gentrification takes over the community. Growth, development and gentrification have all contributed to the affordable housing shortage in Charlotte. As upscale apartment complexes and expensive homes are increasingly being built, low- and middle-income residents are being priced out of many neighborhoods. One example is the community of Cherry, where it’s now common for newer homes to sale for $700,000-$800,000, sometimes more.